Just yesterday, EMB record label launched its rebirth at KICC but founder, Bahati emotionally reveals his loss of 6 M plus, while trying to manage his artists. In an exclusive interview with KISS 100, the EMB records King shared how tough it has been to manage artists, who only bring few returns. EMB records CEO, Kevin Bahati Since the beginning of the year, the record label has witnessed artists walk out from the label, for one reason or another. Mishandling and disrespect were among the accusations filed against the gospel artist´s record label. Furthermore, his own blood brother dumped him. Singer, Bahati and brother, Weezdom However, a rose will never miss the thorns and he opens up on his enormous financial losses when it comes to managing artists: I lost 6 million when trying to manage my artiste and even execute a project. A song could cost me Ksh 450-500, ooo but fewer returns and it is okay. So in the midst of all I spent a lot. The gospel artist however, appreciates the unlimited support from family and friends who have had his back since his debut, ´Mama´. 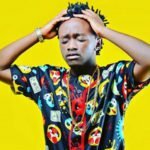 The post Gospel artist, Bahati reveals founding and managing EMB record label has cost him enormous financial handicaps appeared first on Ghafla! Kenya.